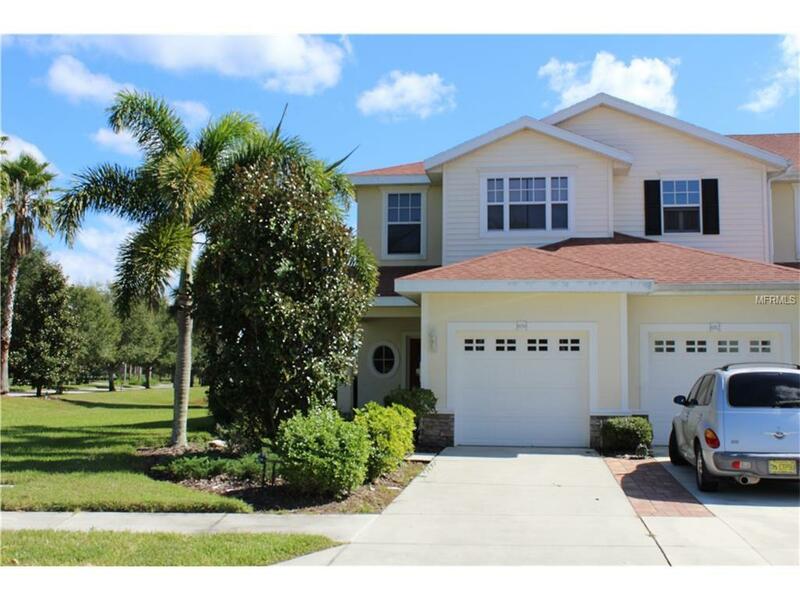 Beautiful END UNIT townhome with a gorgeous marsh view! 3 bedrooms, 2 1/2 baths plus a 1 car garage! Desirable floor plan with plenty of natural lighting. Ceramic tile throughout the main living areas. Formal dining room plus open and spacious great room! Large kitchen with solid wood cabinets, breakfast bar and STAINLESS STEEL APPLIANCES! Screened lanai with storage closet - with private view of the marsh. Large master suite with tray ceiling and walk-in closet. Split bedroom layout - 2nd bedroom has a window seat! Low monthly HOA fees - only $106/month! Situated in the Lakeside Plantation community. Amenities include a large clubhouse with monthly planned social activities for all ages, large community swimming pool and hot tub, tennis courts, billiard room, fitness center, library, card room, WI-FI, basketball and pickle ball court, playground, picnic area and so much more! CDD fee is included in the property tax bill. This is a must see! Call to schedule your private viewing today!